A comet that fell into the Sun on February 7 was tracked by two different instruments on the ESA-NASA SOHO spacecraft, enabling scientists to characterize it quite precisely. 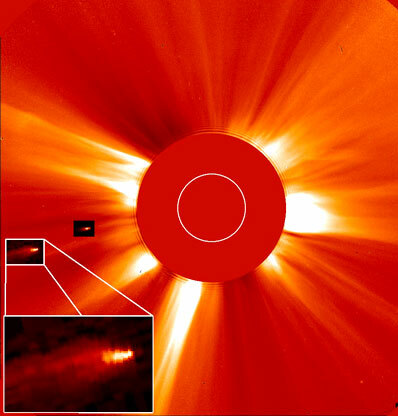 This was just one of nearly 300 comets discovered by SOHO since 1996, thanks mainly to the privileged view of the sky around the Sun given by the visible-light coronagraph LASCO. On this occasion SOHO's ultraviolet coronagraph UVCS also observed the comet repeatedly. It gave valuable additional information, both about the comet and about the solar wind close to the Sun.